Happy New Year! Can you believe it’s been 2016 for A WHOLE WEEK already?! Isn’t that crazy? I know! The New Year is a time when fitness seems to be on everyone’s brain. Lots of people are talking about it. Gyms are running sales, blah blah blah. You know this by now. “New year, new me” is the mantra of people who go to the gym for the first three weeks of the year and then… never go back. If you’ve been like this, this is the year you’re going to change and I’m committed to helping keep you accountable! One of the ways I’m planning on doing it is by keeping the Fit For Me Linkup going. My co-hosts have moved on, but there’s no reason the linkup needs to slow down! Every other week, I’ll be posting. 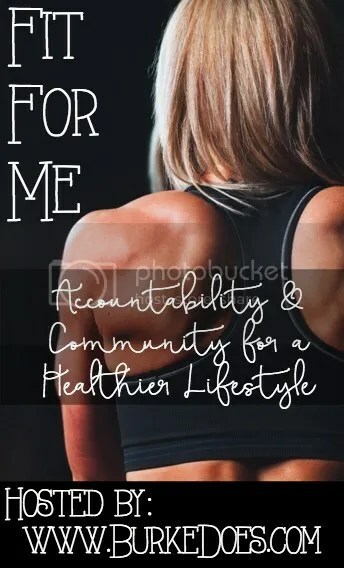 Linkup your health and fitness related post! The linkup is open for two weeks! On 1/21, let’s talk about small changes that lead to lifestyle changes.